Abdominoplasty (“tummy tuck”) is one of many procedures designed to assist in body sculpturing or contouring and address hanging skin folds seen with normal age or after weight loss or pregnancy. Marked weight change or multiple pregnancies are the most common reason a person seeks this procedure. In such cases, skin excess, laxity and damage (stretch marks) are usually untreatable in the absence of an abdominoplasty. As with many other body contouring procedures, abdominoplasty surgery is not designed to replace healthy lifestyle choices such as an appropriate diet and exercise, which have a more profound effect on weight loss and overall health. Regrettably, weight loss may accentuate the already marked skin laxity and folds. If marked weight loss has occurred, large skin folds may make skin care very difficult. In this case a procedure called a panniculectomy may be more appropriate. Body contouring procedures are not designed to correct obesity and a stable weight must be achieved before undertaking either of these procedures. Young woman with good body height to weigh ratio and marked skin excess below the umbilicus following pregnancy. An abdominoplasty is usually performed under general anesthesia, sometimes with a one-night stay, in a hospital or surgical clinic setting. In some cases, limited or mini-abdominoplasty procedures may be performed as outpatient procedures under local anesthesia. Prior to body contouring procedures patients should maintain a stable weight for greater than 6-12 months. Patients should avoid alcoholic beverages for one week prior to surgery. Anti-inflammatory drugs like Aspirin®, Motrin®, Ibuprophen, Advil®, etc. should not be taken for two weeks prior to surgery due to their effects on the body’s blood clotting system and the risk of increased blood loss during the operation and hematomas post-operatively. If you require painkillers on a regular basis for arthritic pain or headaches, the use of Tylenol ES®, will not affect the blood clotting system and is permitted. The use of herbal supplements or traditional medicines should be discussed with your surgeon pre-operatively to see if they will affect your surgery. Any medical conditions and medications must be disclosed to your surgeon pre-operatively. Medical conditions such as high blood pressure must be well controlled in procedures like abdominoplasty where bleeding and hematomas are a risk. Smoking requires special mention as chemicals in smoke can cause vasoconstriction of blood vessels resulting in reduced supply blood to the redraped and transferred tissues in an abdominoplasty. All smokers, regardless of quantity, are at an increased risk of tissue death (necrosis) following abdominoplasty or body contouring procedures. Smoking must be stopped 2-3 months before the operation in order to eliminate the added risk of tissue loss due to smoking. The abdominoplasty removes large amounts of abdominal fat and skin below the belly button thereby contouring the stomach and thoracic area. Unlike liposuction alone, the excision of a notable amount of skin below the belly button (umbilicus) greatly assists patients with permanent stretch marks (structurally damaged skin) in this area following rapid growth, weight gain or pregnancy. 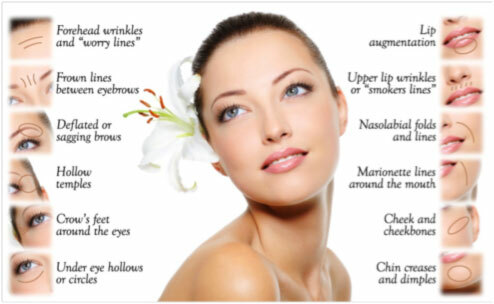 The removal of redundant damaged skin results in a tightening of the remaining skin and an improved shape. Remember that loose skin cannot be removed without incisions and the removal of redundant skin requires the creation of scars sufficient to address the amount of redundant skin present. The required scars may be longer than you initially expect. Ask your surgeon about scar extent and location. Plastic surgeons do their best to hide these scars in concealed areas and the final scar colour and appearance may not be evident until 12 months following surgery. Remember that scars fade over time. The removal and redraping of tummy skin often requires the permanent repositioning of the belly button. This is done through incisions just within the depression of the belly button itself. The belly button is repositioned in its original location on the abdominal wall but this is now located within skin that originally was redraped from the upper tummy area. Concurrent liposuction of excess flank or hip fat and plication (structural reinforcement) of the abdominal wall may eliminate the separation of the stomach muscles (diastasis recti) sometimes seen in pregnancy, giving a flatter and more hourglass figure. In select cases, you may be able to combine other procedures such as tubal ligation, hernia repair or hysterectomy with the abdominoplasty. In each case this must be reviewed with all participating surgeons and the decision to undertake combined procedures remains at the discretion of the surgeon. It usually requires one week before patients feel comfortable walking in an erect position. Walking hunched over with you hips partly flexed may be more comfortable in the early days. When ambulating, patients must wear an abdominal binder for the first few weeks. Closed suction drains may be used and patients are expected to care for these in their home setting. Patients will have a numb abdomen for many months. This often resolves completely but some patients document small perceptible long-lasting differences in sensation. Work activities should be avoided for 2-3 weeks and longer in cases of manual labor. Sports may be resumed after approximately 2 months. The final surgical result is seen at 9-12 months following body-contouring surgery. A hematoma (or collection of blood under the skin) is the most common complication following abdominoplasty. The frequency of hematomas and can be avoided by careful surgical technique and the use of closed suction drains. The scars will take approximately 12-18 months before they can be assessed in their final form. During that time protection of the scars from the sun is essential. Although proper sun protection is essential on all exposed skin, high SPF sunscreens (SPF 45 0r 60) are essential over the surgical scars, for 12-18 months, to prevent permanent darkening of the scars. Residual abdominal wall numbness may occur. After the post-operative swelling has subsided, a marked change in abdominal contour and profile is often evident. Patient satisfaction with this procedure is usually high. Arm-Lifts (Brachioplasty), thigh-lifts and total body lifts are also forms of surgical body contouring. Like the abdominoplasty they require the excision of redundant fat and skin and the redraping and shaping of the remaining tissues and skin. All of these procedures are designed to improve the contour and general shape of the body and all procedures require the creation of scars and result in some skin numbness. Please consult your surgeon on the specific risks and benefits of these specific procedures. This website does not cover all of the medical knowledge related to abdominoplasty and body contouring nor does it deal with all possible risks and complications of surgery on the abdominal wall and associated structures. Although it is designed to provide the patient with greater depth of information in some areas, it is not intended to substitute for the in depth discussion between patient and surgeon that must occur prior to any surgical procedure. This website is an informational guide to different cosmetic surgery procedures and provides valuable tips. The knowledge should not be taken as the final medical word! Why Are People Turning Towards Simpson Oil?